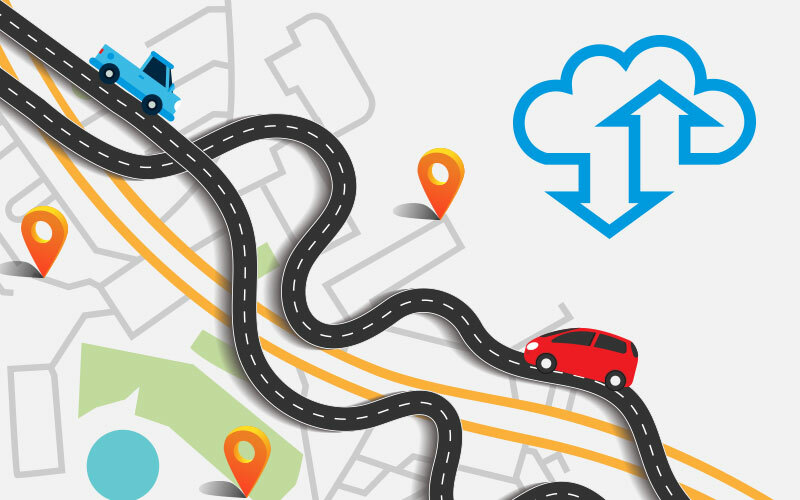 Seamless backup and recovery for IBM power systems doesn’t occur by luck or happenstance; it’s the result of a carefully planned and properly executed strategy — a roadmap if you will — to ensure full data protection and flawless retrieval. These nine specific steps — the roadmap — are important milestones for IT managers to mark on the road to secure and accessible data. The more progress a company makes along the way, the stronger the level of data protection and the closer you move to your backup and recovery goals. The roadmap also serves as an important tool in identifying the strengths and weaknesses of your recovery plan and putting your IT management program on the right path to seamless backup and recovery. 1. Employing local tape-based backups. This decades-old system involves backing up data and systems to magnetic tape and storing it locally — usually offsite. Tape-based backup is still fairly popular, and many IT managers rely on it as either primary or secondary backup. With tape backup, a series of tape spools is employed, and in the event of a disaster, the correct tapes are recovered, with data and systems being rebuilt from tape. It’s a time-consuming, labor-intensive process, however, as tapes must be constantly moved, stored, catalogued and monitored. Among the pitfalls are skipped or failed backups due to mechanical failure, lost or misplaced tapes, the susceptibility of tapes to high humidity, heat and magnetic interference, and lengthy restore times, all making it hard to reach ROP, RTO and RTA goals. Tape-based backups are the horse-and-buggy of the backup and recovery program; it’s a system, but by today’s business standards it’s woefully inadequate. 2. Acknowledging that your tape backup strategy needs to change. As noted, tape backup has been around for decades, and while it’s still popular in some business circles, it just doesn’t meet today’s demands for data and application backup and recovery. It might take a system failure to realize that it’s time to change, or the imposition of new requirements mandated by the government, or even a clause in the SLA, mandates from a large client, or due to an audit. It might take a disaster to realize that it’s time to upgrade to cloud-based backup and recovery. 3. Implementing multi-tiered backups using the 3-2-1 strategy. This involves modifying your backup and recovery program and incorporating multi-level on-site and off-site backup. The thrust here is threefold: You always keep at least three copies of your data, including current data; keep two copies of your data local but housed on different devices using different storage media; and, finally, retain one copy of your data off-site. This method gives you quick access to your stored data, while ensuring a multi-tiered storage strategy. 4. Heighten efficiency by replacing tape backup with disc backup. Now it’s time to move your backup data away from movable media (such as tape drives) and onto local disk-to-disk backup, where systems and data are housed on another device’s storage. There are many advantages to making this move. They include: There’s always an on-site copy of your data for quick restores; disk backup and restores are much faster than with tape; newer technologies like data dedupe, archiving and image backup software can be a lot more cost efficient while reducing the amount of storage needed for multiple backups; and disk backups can be easily moved between devices as required. In short, disk-to-disk backup is more efficient in terms of backup time needed, it’s a more cost-effective storage system than tape storage, and it allows you to recreate backups from different points in time and to quickly move backups between devices and networks. 6. Improving recovery time through local backup replicated to the cloud. The bottom line is that local backing up to disk using the latest storage technologies truly is the most efficient backup strategy. However, for added protection, at least one backup copy of your data and systems should be stored off-site — preferably a good distance away to ensure that your data isn’t lost in a local or regional disaster. Local backup systems can perform encrypted IBM i, AIX, and Linux backups, which can be replicated to cloud storage vaulting. This allows IT managers the benefit of efficient local backup that can also be stored a good distance away in the cloud. An advantage is that offsite cloud backup can also scale with growth as business demands dictate; it uses technologies such as deduplication and compression backup to reduce backup and recovery times. IBM and many third-party vendors offer vaulting technology that accommodates this cloud and hybrid backup technology (local appliance backup replicated to the cloud). Cloud and hybrid technology conforms to the 3-2-1 strategy; that is, to have at least two backups of your data on different machines and media. Improving recovery point objectives through replication. The beauty of replication means that data and system changes can be immediately copied to different systems in different locations using software- and hardware-based replication technologies. Since replication takes place in real-time as data is written and updated, replication technologies can reduce your RPO to provide near-real-time backup. Replication can also mean significantly reduced recovery time over simple tape recovery. It’s important to remember that because data is replicated in real-time, replication does not provide a point-in-time backup. Rather, it provides an almost current copy of your data from the source to the backup system. Mistakes made on the source system will automatically be replicated to the backup system, making replication a poor choice for correcting data errors, as errors will exist in both the source and the backup data. Recovery time for a continuously replicating system can be as short as 15 minutes, while tape backup recovery can take anywhere from 72 hours to between five and seven days. For IBM Power systems, IBM offers a Capacity Backup (CBU) for Power Enterprise servers, which can be used as a standby server for production partitions. The CBU is an IBM Power system that is exclusively designated for IBM i, AIX, and Linux partitions for disaster recovery and high availability. IBM also offers storage-based replication offerings for its power systems, where an exact bit-by-bit replica of your primary storage is created on geographically remote system hardware. This storage replica can be activated to run the primary system when a hardware failure occurs. 8. Providing availability through the cloud. One of the main advantages to cloud storage is availability — that is, the ability to establish standby compute, storage, and network infrastructure resources that can provide turnkey access to all of your applications and data whenever you need it, even when your primary system is not available. Essentially, when standby compute, storage, and network infrastructure resources are deployed in the cloud, you can provide geographical high availability. Production workloads can be switched to the cloud as needed — complete with all the networking needed to present and run your workloads transparently for all of your customers, both internal and external. Thanks to availability in the cloud, applications run on the standby resources, allowing your customers to continue using these apps when the production system is down, and do so seamlessly and without interruption. 9. Eliminate organization-hosted resources through cloud deployment. Last but not least, the final step in our backup and recovery roadmap is to eliminate organization-hosted resources, and replace them with Infrastructure as a Service (IaaS) to deploy your production environment in the cloud. This makes sense for a lot of reasons. In an IaaS scenario, your vendor takes over all aspects of your application environment — including hardware lifecycle management, maintenance, and public Internet access with VPN or secured private access using a private cloud. The vendor typically provides a backup strategy that includes availability options. Here’s another advantage to IaaS: It’s no longer necessary to maintain and back up the equipment and the network it runs on. The vendor does it all for you! An added benefit is that now you can reduce staff requirements; with the vendor performing all the maintenance and availability functions that your IT operations staff previously performed, you can save significantly on staffing expenditures. By following this roadmap, IT managers will realize the tremendous benefits of backup and recovery in the cloud environment. A well-planned and carefully executed system of gravitating backup and recovery in the cloud will reap rewards right away, and down the road.